Not all immigrants from Muslim countries are opposed to Quebec’s religious symbols ban. Some say the proposed law is a necessary bulwark against the kind of problems they left behind in their home countries. Traditional pastries, a homemade cheese chicken pie and Tunisian wine. "I couldn't handle the changes in my country," she said, referring to what she describes as a steady progression of religious influence on society, the company where she worked, and even her own family. Ben Ammar was raised by an atheist father and a mother who was a practising Muslim but didn't wear the veil … at least until recently. "She saw that the neighbours wore it, her friends wore it, and said, 'I don't want to be the only one not wearing it,'" Ben Ammar said. "She didn't want to be different." 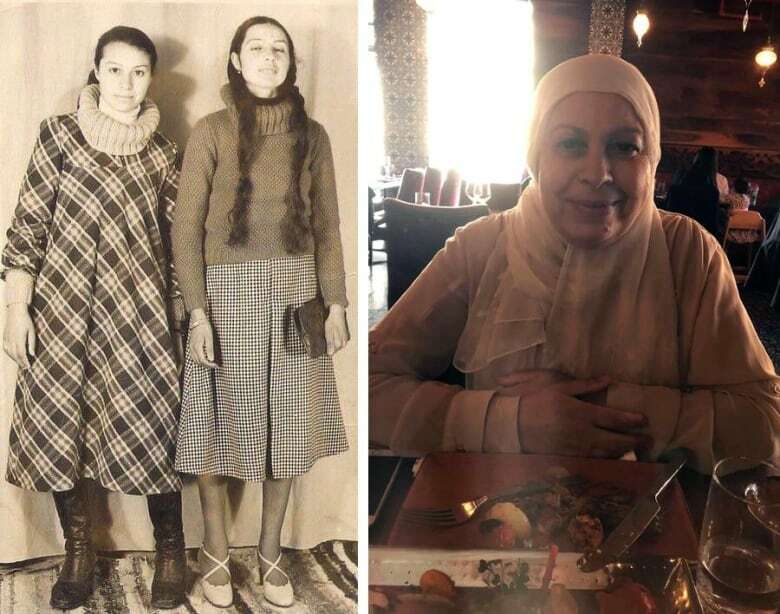 Ben Ammar's mother's decision to don the veil is just one example of what she sees as her country's transformation from a secular state to a place where government and religion now coexist, and sometimes clash. 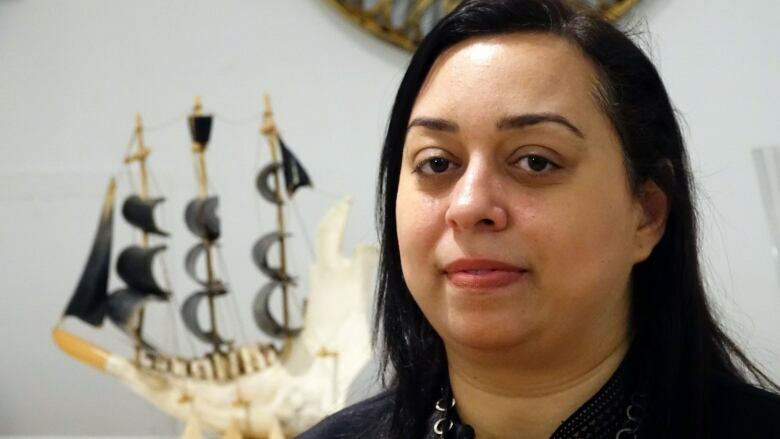 An atheist, she strongly supports the CAQ government's plan to ban religious symbols such as the hijab for government workers in positions of authority, like police officers, prosecutors and teachers. "The woman is representing the state and for me the state should be neutral." Ben Ammar says the protest, organized by a group headed by controversial Imam Adil Charkaoui, does not represent the views of all of the province's Muslims. "Who gave this association that organized the [protest] the right to talk in the name of Muslims here?" she said. Two people who did speak at Sunday's protest were Aymen Derbali and Saïd El-Amari, survivors of the 2017 Quebec City mosque shooting. El-Amari called Bill 21 "racist" and "Islamophobic." Zahra Boukersi's niece Louiza lost her husband, Abdelkrim Hassane, in the shooting. Still, Boukersi, who teaches French at Montreal-area private elementary school, does not see the CAQ's bill as fuelling Islamophobia, but as a necessary bulwark against what she calls "radical Islamization." "I have students who see me as a role model," she said. "I'm not sure what kind of role model these [veiled] women will represent for the young generation." "We thought like you do here," she said. "That it's nothing at all, nothing at all. But no, it became a real nightmare." Boukersi left Algeria in 1996 during the country's "black decade," when Islamist rebels battled the Algerian army for power in a bloody civil war. Still, Boukersi feels the law should be modified to allow more flexibility for veiled women who want to become teachers so they don't end up dependent and marginalized. "Yes, there are women who wear the veil to proselytize, but there are women who wear the veil because it encourages them to emancipate themselves," she said. "This is how they're going to earn their financial independence." She's now living in Toronto but has been following the debate over Bill 21 and says she's conflicted about the religious symbols ban. 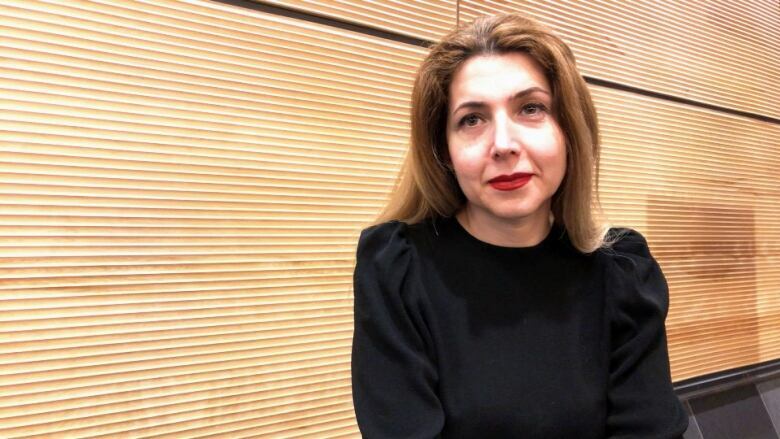 "The government can do better than forcing people," Shajarizadeh said. "But at the same time, as a woman who grew up in a Muslim community, I know the hijab is a symbol of sexism." After living under a government-imposed dress code most of her life, she can't back a law that tells adult women what they can and can't wear, but she feels differently when it comes to minors. "I know that in Muslim families they force their kids to wear the hijab at the age of nine and obviously a kid can't decide," she said. The forced hijab for women was one of the reasons Homan Davoodi left Iran five years ago, even though he's a man. "You grew up with this whole idea, with this whole concept that you should not see a woman's hair or her body," said Davoodi. "It was a burden of guilt and shame on me. I have no idea how hard it could be for a woman." The 38-year-old came to hear Shajarizadeh's in person, whom he describes as his "personal hero." "I know some people argue that it's a violation of freedom," he said. "But I think if we have to choose between two violations, I go with the Quebec government." Davoodi has since become a Canadian citizen. 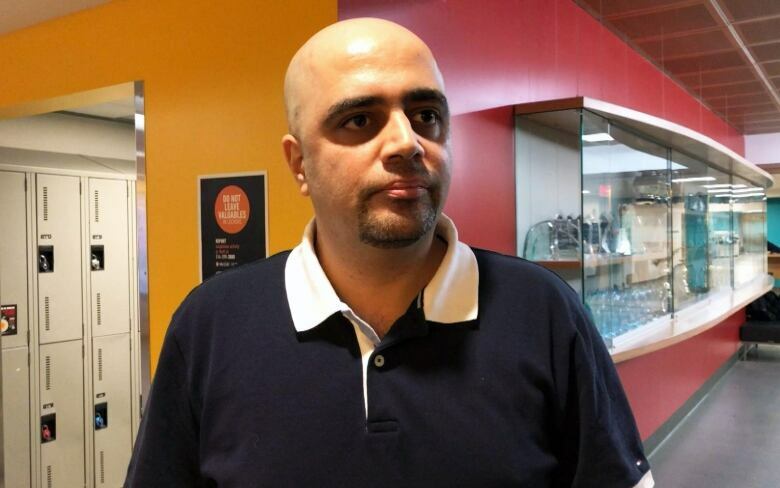 Trained as a chemist, he now works at the Port of Montreal as a monitor and describes himself as an "ex-Muslim." "You're just seeing a shadow of it. I've seen the whole thing."